In finance, leverage refers to using borrowed capital or financial derivatives to magnify the results of an investment. The value of a leveraged investment is greater than the value of the original capital contributed by the investor. When leveraging an investment, the potential gains are greater than they would be without leverage. Likewise, the potential losses are also magnified with leverage. The idea is to borrow funds and then to invest those funds at a rate of return that exceeds the interest rate on the loan. If the investor is able to borrow money at 5%, and then invest it at 7%, that investor can pocket the difference. And if such an opportunity exists, the investor would want to lever up as much as possible – that is, borrow as much money as possible at 5% to invest at 7%. There are several ways to utilize financial leverage. 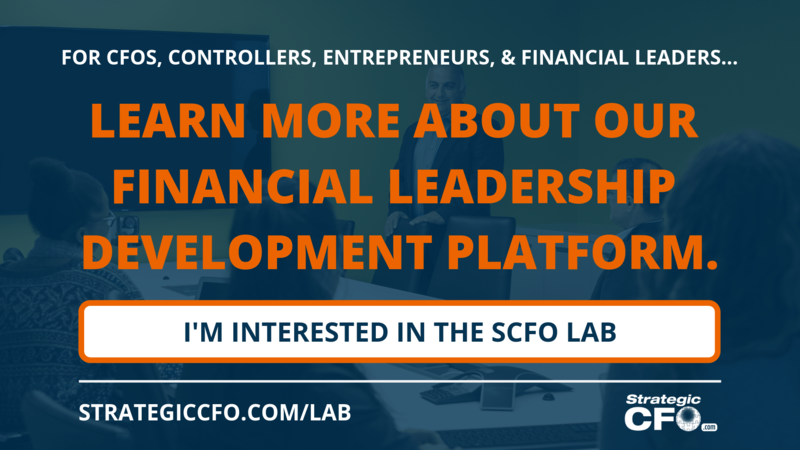 The investor can take out a loan, a company can increase leverage by issuing debt instruments, an investor can borrow funds on margin from a broker and invest those funds, and investors or companies can engage in financial options contracts. 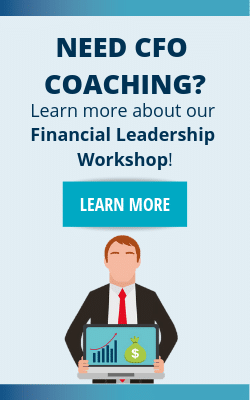 These are some of the methods available for utilizing financial leverage. For example, image you have $100 dollars to invest. And you are very certain that the stock you’ve picked will go up by 10%. With your measly $100, a 10% increase will give you only ten bucks of profit. If, however, you are able to borrow enough money that you can invest $100,000 dollars in your chosen stock, then the expected 10% increase will yield a more significant amount, $10,000. On the other hand, leveraging has a downside. Let’s say you borrow the $99,900 dollars and invest it, along with your original $100 dollars, in your chosen stock. But instead of going up 10%, it goes down 10%. Now you may be in big trouble. You’ve lost your $100 dollars and you owe the lender $9,900 dollars. Leverage also refers to the amount of debt a company takes on. If a company borrows a lot of money, via bank loans or by issuing bonds or other debt instruments, that company is considered highly levered. A company’s debt-to-equity ratio is one way of measuring how much leverage a company has employed. 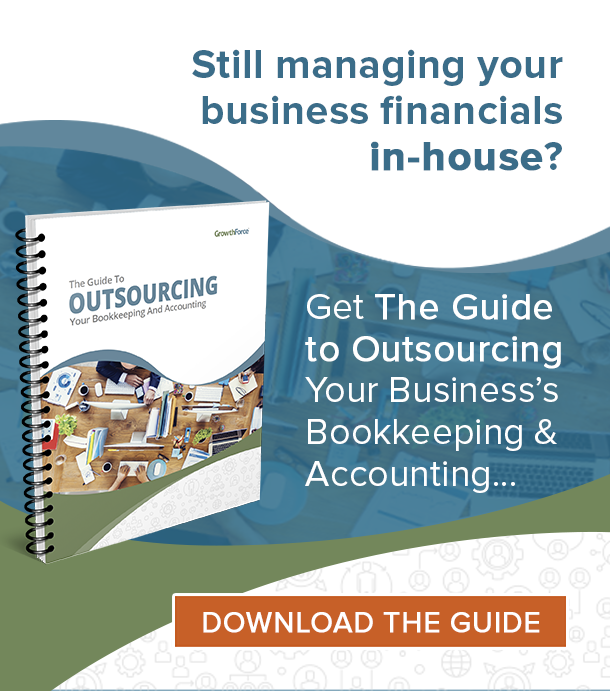 Being over leveraged can destroy the value of your company. 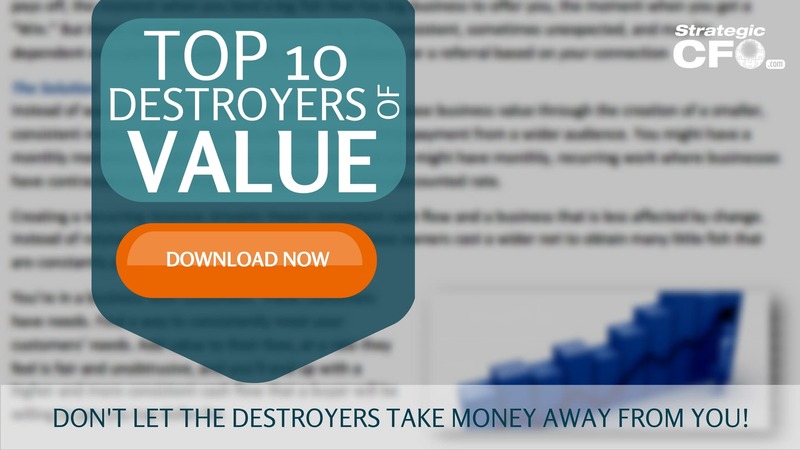 Click here download the Top 10 Destroyers of Value.